I love to read. Like most adults, I don't get nearly enough time to indulge in this pastime, because of this little thing called work. I have to earn money to pay for necessities such as the mortgage and groceries and, obviously, books. Major magazines and newspapers may pay a few hundred dollars for a freelance book review, but if you've never written professionally, you're not likely to break into The New York Times Book Review on your first shot. There are, however, a number of websites and niche publications that pay a modest fee per review and might be more willing to work with beginners. One site that publishes lots of short reviews is Kirkus Media; the company says it's currently hiring experienced reviewers for its independently-published book section. Kirkus reportedly pays $50 for a 350-word review. Another option is Publishers Weekly. It hires freelancers for 200-word reviews, reportedly for a smaller fee. You could also look for a publication dedicated to a hobby or passion that you have. For instance, Good Old Boat, a sailing magazine, pays $50 for book reviews running 200 to 450 words (by assignment only). Of course, print publications are not your only option. You could look for online reviewing gigs as well. Online Book Club pays reviewers between $5 and $60, and appears to have an easy application process. The US Review of Books charges authors $85 for a 250–300 word book review on its site, though the pay it offers reviewers is undisclosed. And Subject Books makes things really easy for beginning reviewers by having the reader fill out a form about the book; check their website to see if Subject Books is accepting new reviewers. You may have heard of freelance writers, but did you know there is also such a job as a freelance reader? Literary agents pay $25 to $100 to readers to read manuscripts from the "slush pile" and recommend them either for publication or for the circular file. You usually have to write up your recommendations. This could be a really great job for people who love to read, but it's not the easiest job to get. You probably have to live near a major city and interview for the job in person. It helps to have connections. In the film industry, the same job happens on a freelance basis with scripts, at about $40 to $60 per script. Competition for these jobs is intense. This is similar to being a reader for an agent, but more proactive. A book scout goes out and finds good manuscripts for publishers and agents. They attend book fairs and writers' conferences to ferret out future best-sellers. In the film industry, a book scout reads tons of books and highlights those that could be made into profitable films. Are you one of those people who not only notices typos in books and articles, but grabs a red pen and circles them? Maybe you were a born to be a proofreader. If you want to get started as a proofreader, you probably won't start out reading books. There are a number of online services that offer to proofread anyone's documents for a fee, and these services often hire freelancers based on online tests. You may find yourself reading someone's term paper or business proposal, but if your goal is to work your way up to proofreading books, you have to start somewhere. Average beginning pay is in the range of $15 an hour, though some sites pay by the page. Once you've got some experience under your belt, apply as a freelance copy editor or proofreader with a publishing company. What's the difference between proofreading and editing? Sometimes, nothing. Other times, jobs listed for editors are expecting you to go beyond finding errors. Editors may have to rewrite or reword tricky sentences and make content suggestions. Job sites such as Upwork and Freelancer list editing jobs paying $25 to $30 per job. If you're not sure if you qualify to edit, consider taking an online course. Reference books such as The Elements of Style and The Chicago Manual of Style can also be invaluable. Do you love reading, and have sales chops? Consider a career as an agent. As a literary agent, you'll represent authors and pitch their books to publishing companies. 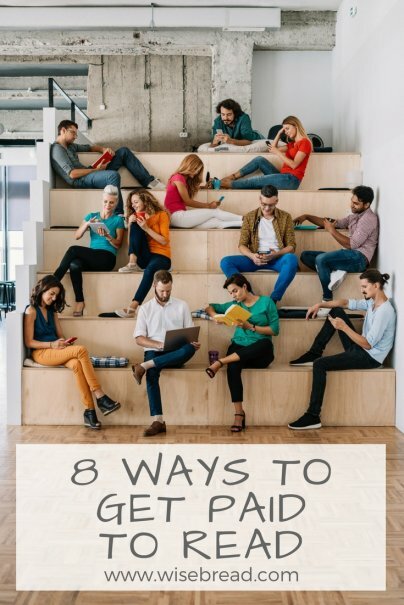 You may have to work your way up in an agency by first working as an agent's assistant or a freelance reader. Have you ever thought about who narrates audiobooks, if they're not read by the author? While most reading jobs are about making editorial choices, this opportunity is more akin to voice acting. Learn about the audition process at ACX, a platform that connects publishers with narrators, sound engineers, and other professionals. I've saved the most obvious for last. Those who truly love books often find themselves holding master's degrees in library science. Librarians are by no means limited to books nowadays, with all the databases and other media to navigate. Still, they are expected to know what they're talking about when they recommend something good to read. This generally requires reading enough books to be familiar with a lot of authors and genres.